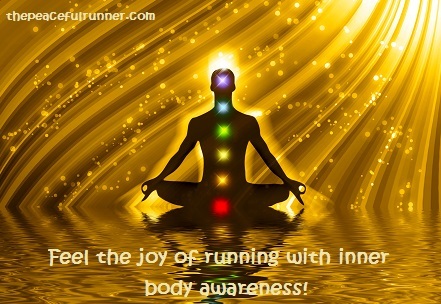 Discover Your Inner Body Awareness Now! Discover inner body awareness and experience a feeling of total joy, peace and happiness. It is full acceptance and awareness. It is your inner guidance and a source of pure unconditional love. It is here and now and available to you always. You can learn how to feel your inner body by practicing the following inner body meditation by Eckhart Tolle. He will show you how to focus on your inner body and feel the energy and awareness inside your body. It is inside you waiting to be awakened! Practice it regularly to enjoy the many benefits of inner body awareness. 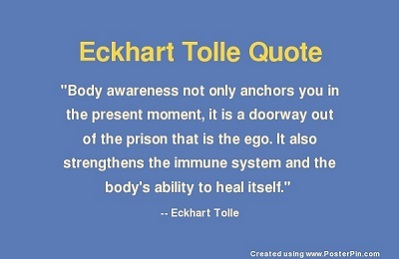 Eckhart Tolle, author of A New Earth: Awakening to Your Life's Purpose , coined the phrase, "inner body awareness." In his book he provides direct instructions on how to feel the inner body. The instructions are provided below, so you can start practicing and enjoying all the benefits today. Then go to your feet, keep your attention there for a minute or so, and begin to feel your hands and feet at the same time. Then incorporate other parts of the body--legs, arms, abdomen, chest, and so on--into that feeling until you are aware of the inner body as a global sense of aliveness." Practice this exercise to get a feel for the energy in your inner body. When you know and recognize that feeling, you can call upon it anytime you want to feel peaceful and happy. For me, the chest or heart area is where I can feel it most easily as it is more intense there. Practice feeling your inner body during a run. It brings with it a tremendous feeling of joy and aliveness. You are accessing your source of life energy and enhancing your running experience simultaneously. You can access this energy anytime you want to feel the indescribable joy of running. 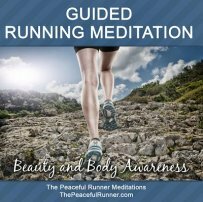 As you focus and feel your inner body while running, you will be relaxed and free of tension. 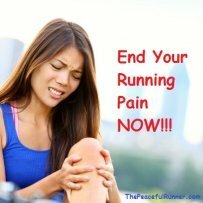 Running will be easier, more enjoyable and you will be less likely to develop pain or injuries when you access the energy available in your inner body. 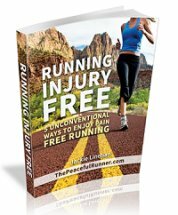 Meditative running can help you run injury free! Placing focus on the inner body is a form of meditation. Improved health and well-being, increased energy and reduced stress are some of the many benefits of meditation. If you are experiencing better health and less worry and stress, it will show in your appearance. You will look younger. Are you a good listener? If you have ever attended a generic skills course, a common topic is how to become an active listener rather than a passive listener. Try to feel your inner body when you are listening to someone. An active listener listens with their whole body or their inner body. Try it the next time you are struggling to stay focused during a conversation. Your conversation skills will be vastly improved.